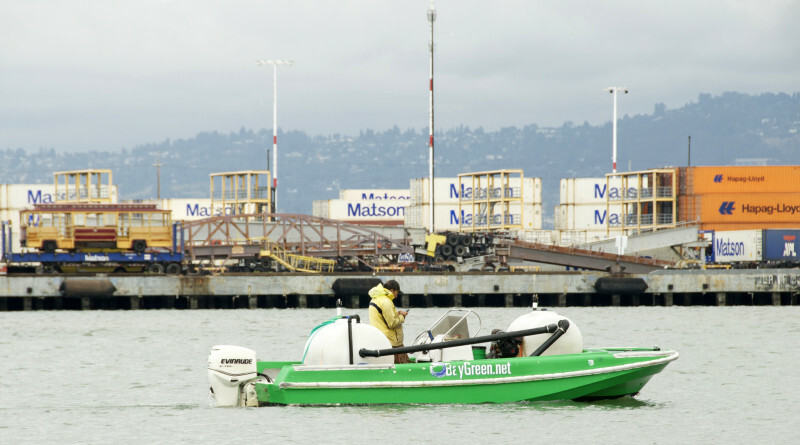 A mobile pumpout service similar to the one pictured above may soon be available to mooring permit holders in Newport Bay if the City Council approves a three-complimentary pumpouts per moored vessel per month. Newport Beach City Council contemplates deferring decision to Harbor Commission. NEWPORT BEACH — A pumpout service could be coming to Newport Harbor to help prevent sewage dumps and preserve water quality. The Newport Beach Harbor Commission held a study session on June 14 to discuss the prospects of a pumpout service for mooring permit holders in the harbor. Harbor Resources Manager Chris Miller explained the service would help preserve the harbor’s water quality. The program would allow three complimentary pumpouts per moored vessel per month. Afterwards pumpouts of 100 pounds or less would cost the moored vessel owner $27.50. Cancelled appointments would cost the moored vessel owner $15. Fresh water flushes or head repairs would not be permitted. No vessels would be boarded under the program. Accordingly only vessels with external and accessible waste deck fittings would be serviced. Miller added this program could also extend the lifespan of city-owned pumpout stations and, in general, promote boating. The pumpout service would be operated by at least one (but maybe two) vessel sewage company. A Request for Proposal was already sent out and two companies – Mobile Harbor Services and Royal Flush Pumping Services – were the two respondents. City funding for the program would last for up to 12 months. The program would be marketed through notices to mooring holders and distributed flyers. Council member Marshall Duffield said the pumpout service program would be a valuable alternative to the city’s four public stations. A damaged pumpout station could cost about $800 to repair, according to Duffield. Duffield’s colleagues were in favor of moving forward with some sort of pumpout service for Newport Harbor’s boaters. Council member Ed Selich said such a service could only help keep the harbor’s water as clean as possible. Meanwhile Council member Keith Curry said he’d like to avoid a complimentary pumpout service. Mayor Pro Tem Kevin Muldoon and Council member Scott Peotter both suggested the City Council defer to the Harbor Commission for final direction on how to implement a harbor pumpout service. Newport Mooring Association member Carter Ford also urged the City Council to defer this issue to the Harbor Commission, where he hoped there would be additional brainstorming to fine tune a promising program. Gary Hill, who operates a fuel dock in the harbor, told council members the bookkeeping process would inform city staff of those who regularly use pumpouts. “I think we really want to find out if these liveaboards are using the pumpout service,” Hill said. The program, if executed, would be available only to mooring permit holders.